Kylian Mbappé warms up at Old Trafford. 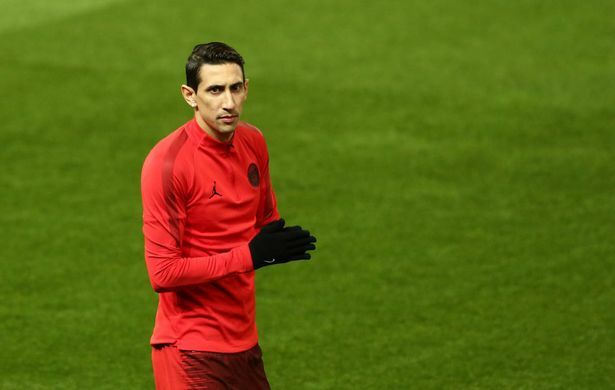 Ángel Di Maria could, and should, have been the man to breathe life into an ageing United side after Sir Alex Ferguson’s retirement and that the 30-year-old saw the opportunity pass him by will always be a regret at Old Trafford. The Argentina international has rediscovered the form that saw Jose Mourinho cherry pick his signing at the start of his Real Madrid tenure in 2010 and there is a reason that Lionel Messi counts the midfielder among his most respected allies for La Albiceleste. The one-season Old Trafford disappointment was laughing and joking with his teammates in the warm-up at his former place of work on Monday night and it will be intriguing to see the sort of reception he receives when the house is full. Former United player Ángel Di Maria. Leandro Paredes is viewed in Argentinian circles as the best deep-lying midfielder on the nation’s books yet the game at Old Trafford might have come too soon for the recent recruit from Zenit St. Petersburg to claim a berth in the starting XI. The 24-year-old, who set PSG back €47 million in January, has not played a full 90 minutes in Ligue 1 to date but his orchestrating influence from the bench could prove useful for Tuchel’s side. Tuchel was effusive in his praise for Paul Pogba’s recent showings for United and Paredes, if given the unlikely nod, will be the man charged with curbing the involvement of United’s midfield enforcer. The first name to be penned on PSG’s seemingly infinite injury list was that of Marco Verratti in January, when the midfielder hobbled off with an ankle sprain during Les Parisiens’ 9-0 win against Guingamp. A second set-back came last week when the Italy international missed a training session but his 59-minute run out in the 1-0 win against Bordeaux on Saturday is likely to have been enough to prove his readiness for the Champions League round-of-16 first-leg. 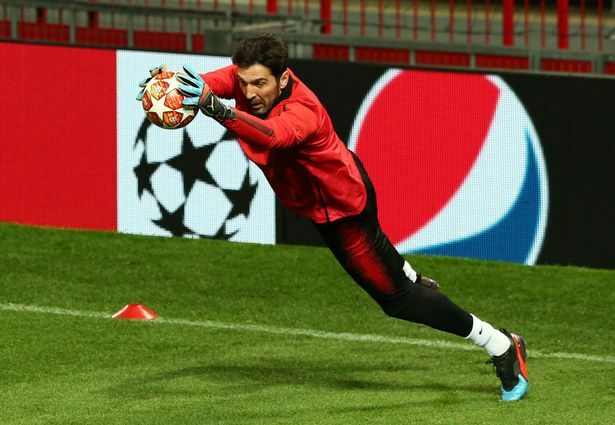 The midfielder was nimble on his feet in avoiding some fairly robust challenges during the rondos in the warm-up to PSG’s training session on Monday night and looks set to line up as one of PSG’s defensive midfielders at Old Trafford. Tuchel admitted in his press conference that United go into the first leg as favourites and should the German be proven correct, Verratti could be the defensive blockade to temper United’s fervent attacking outlets. Thiago Silva and Marco Verratti of PSG. Gianluigi Buffon’s incredible goalkeeping career has, remarkably, only pitted him against Manchester United once in a competitive fixture. Ryan Giggs twice got the better of him, with Ruud Van Nistelrooy adding United’s third against Juventus in 2003 and the 176-time capped Italy international will surely have an eye on improving that record in what could be his second and final appearance against the Reds. The 41-year-old exhibited his agility during the warm-up at Old Trafford to reiterate that it will be no mean feat for Marcus Rashford and Co. to get their names on the scoresheet. Gianluigi Buffon has only played once against United.